At one time or another, every company faces an impasse - where to host all their data. After all, businesses desire that data must be hosted in an environment that is secure, easily accessible and cost effective. Cloud hosting is a good option. It is very reliable. Because cloud is run on multiple servers, you can conveniently add more severs to facilitate scalability. Another popular option is dedicated servers. If you do not prefer an unknown virtual environment, dedicated server is the best choice. You buy or lease a dedicated server to manage all your data. Dedicated server offers many advantages, chief among them are safety and performance. They also offer complete control of data management. Once you decide on dedicated server, another quandary could be which operating system to choose. You have a choice between Linux and Windows OS. Linux is the most popular because it is open source, inexpensive and easy to install. Of course Windows offers certain advantages too, like it provides world class support. In any case, you must understand that both Linux and Windows technologies are capable of powering impressive websites. Linux is a very popular operating system, because it offers reliability, stability and efficiency. It is well suited for blogs, content management systems, ecommerce sites and more. If you have finally chosen Linux, then it is natural for you desire the best Linux dedicated server in the market. With Linux web hosting you will experience the following advantages. Linux OS is inherently stable and does not slow down over time. This is one of the underlying features that make this OS very popular. Windows, we all know requires frequent hardware updates to accommodate continual increases in resource demands. In contrast, Linux is flexible and scalable. It works commendably on any machine architecture. Linux provides an edge over Windows when it comes to total cost of ownership. Even an enterprise version with corporate support is much less expensive than Windows. Moreover, with Linux, you are not obligated to certain brands, products or protocols. You are free to create any amalgam that best suits your business. 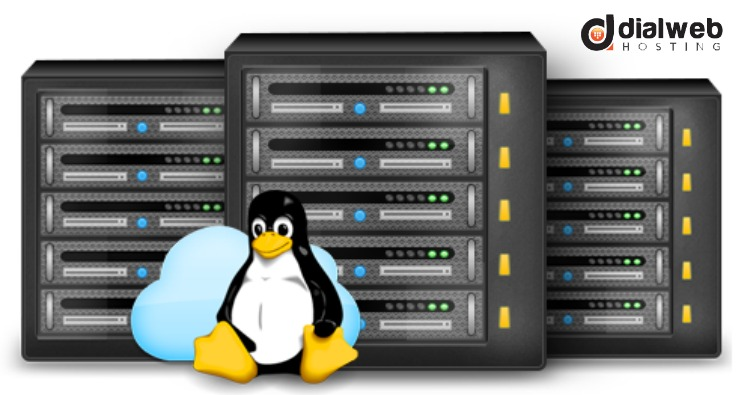 That said, you need to do some homework, if you want to select the best Linux dedicated server hosting. Here are a few points that you must keep in mind. 1. Depending on your business requirements, you might need a server with plenty of RAM. 2. If you are hosting images or multimedia, check if the speed offered by the hosting provider is adequate. 3. Even with best Linux dedicated server hosting, location of the data center is of paramount importance. Quality, consistency and uptimes are closely linked to location of your target demographic vis a vis the location of the host data center. Weigh-in the monthly fees, setup fees, software licensing fees, and cost of additional services like managed plans, price for extra traffic and more. Also do not forget that hosting providers charge you for migration, backup and recovery, scalability, and for upgrades. Yes, choosing the best Linux dedicated server hosting provider is a time consuming and complicated task. But at the end of the day, it is worth the effort.